If a library can be something as simple as an organized collection of texts, then libraries massively pre-date books in the history of culture. Every country has a tradition of legends, parables, riddles, myths and chants that existed long before they were written down. Warehoused as memories, these texts passed from generation to generation through dance, gesture and word of mouth. The Kope of New Guinea, the Mandinka griots of Mali, the Ifugao of the Philippines, the Arabs of Palestine, the nomads of Mongolia, the Nambikwara of Brazil, and the Gitksan and Wet’suwet’en of British Columbia—these and other peoples used narrative forms such as Hudhud chants, Hikaye stories, Urtiin duu and Bogino duu (long and short songs) to maintain their immaterial libraries. Cultures that lacked any form of writing could only ever preserve their texts imperfectly. Those cultures, though, adopted elaborate techniques (such as intricate patterns of repetition) and rules (such as social obligations and taboos) to maintain, as best they could, the integrity of their texts. The best examples of mnemonic formulas for preserving oral libraries are from ancient India. Memorizing a single text from the Vedas involved up to eleven forms of recitation, including the jaṭā-pāṭha (“mesh recitation”), in which every two adjacent words in the text are first recited in their original order, then repeated in reverse order, and finally repeated in the original order. 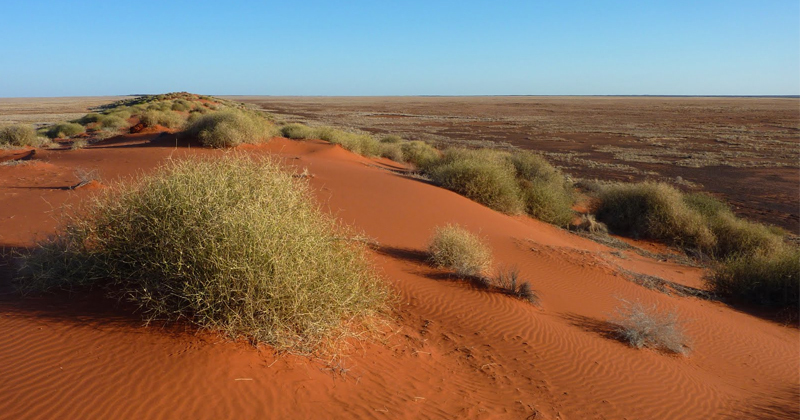 Perhaps the oldest oral library in the world was formed over a span of tens of thousands of years in the arid lands of central Australia. There, the Arrernte people developed a complex system of tribal knowledge, beliefs, duties, and ethics—what Van Gennep called, in his 1906 Mythes et légendes d’Australie, “at one and the same time fragments of a catechism, a liturgical manual, a history of civilization, a geography textbook [and] a manual of cosmography.” Indigenous Australians sometimes refer to this expansive system as their “Dreaming” and their “Dreaming stories.” The stories reflect the bosom connection between the first Australians, their land, and all its features—tors, plateaux, rivers, billabongs, animals, plants, routes for trade and conquest, and the journeys of totemic beings—giant animals and giant people—from the primordial past. Travel and geography are so important to the Dreaming that the Dreaming stories are often called “Dreaming tracks,” or, especially among the Arrernte, “tjurunga lines,” a reference to the mysterious tjurunga stones that are vital to Arrernte tradition. Rich with sacred meaning, these flat, oblong-shaped stones, about three inches wide, are polished and incised with elaborate patterns and designs—concentric circles and meandering lines, dots, arches, and curves—representing the totems of the groups to which the stones belong. Thought by the Arrernte to have been made by the ancestors themselves, the tjurungas are a physical counterpart to the Aborigines’ oral libraries. Most tjurungas had a central place in “love magic,” initiation ceremonies and other ancient rituals. (Versions of the stones tied with women’s hair can be swung to make a charmed sound and have been called “bull-roarers” and “wife callers.”) When the tjurungas were not being used for sacred purposes, male Arrernte elders wrapped them in leaves or bark, hid them in caves, or, when circumstances called for it, carried them overland with great reverence and secrecy. Every Dreaming track is inherently multifaceted, blending animate and inanimate entities, past and present, fact and belief, ground and sky. It is, as Nicholas Shakespeare writes, “at once a map, a long narrative poem, and the foundation of an Aboriginal’s religious and traditional life. . . It is secret and there are penalties for those who transgress.” Not surprisingly for a set of concepts that pre-date writing, the tracks resist simple expression in prose. Nevertheless, the tracks have been the subject of intense scientific and pseudo-scientific study, much of it conducted near Alice Springs at Hermannsburg—a Lutheran mission to the Western Arrernte and Loritja people of remote central Australia. Géza Róheim, the Hungarian-American Freudian, conducted fieldwork there in 1929 with his wife, Ilonka. Freud encouraged and assisted Róheim’s work at Hermannsburg as well as in Melanesia, Somaliland, and Arizona. Róheim subsequently wrote about the Arrernte and Pitjantjatjara people and was applauded as the first ethnologist to interpret culture psychoanalytically. From 1894 to 1922, Carl Strehlow was Hermannsburg’s Lutheran pastor. During his 28-year calling, he only left central Australia three times. Struck down by dropsy in 1922, he tried to leave a fourth time, to seek medical treatment in Adelaide, but only advanced 240 arduous kilometers before the disease claimed his life; he was buried on the route, at Horseshoe Bend. His son Theodor, known as Ted, grew up among the Arrernte and became an anthropologist of sorts. On a disastrous trip to Europe, he felt shunned by the leaders of the field who frowned at his lack of formal training. He returned to central Australia and continued to study its indigenous people. Chatwin had encountered Songs soon after its publication. In 1972 he proposed writing a profile of Strehlow for the Sunday Times. This was one of several projects left unfinished when Chatwin shot off to South America to write a travel book. He may have become aware of Strehlow’s work at an even earlier date: he later claimed to have discussed nomadic art and Strehlow with the Australian archaeologist John Mulvaney in 1970. According to Chatwin’s version of that conversation, he met Mulvaney at the Pitt Rivers Museum in Oxford; Chatwin suggested the “walkabout” might be a way to unlock “the nature of human restlessness”; and Mulvaney pointed him in the direction of Strehlow. Mulvaney later confessed to having no memory of this encounter: either he forgot it completely or it never took place at all. Chatwin knew something of the ancient world. At the age of 18, straight out of secondary school, he’d joined Sotheby’s in London as an assistant porter in the Works of Art department. His job was to dust and move tribal artifacts and European and Oriental pots—tasks he performed poorly. “Bruce would wander around where he wanted. When sales went on view, there would be 35 lots missing and things were misnumbered and dirty.” Chatwin was nevertheless promoted, working as a junior cataloguer across Furniture, Modern Pictures, and Antiquities. As handsome as he was quick-witted, Chatwin feared Sotheby’s directors were using him as “live bait” to ensnare wealthy art owners of both genders. Now in Australia, Chatwin struck a T.E. Lawrence-like pose: a go-anywhere literary adventurer, highly sexed, unafraid of the desert or of snakes. When he returned to England he appeared on BBC Two alongside Mario Vargas Llosa and—the champion of the literary world’s fascination with libraries and mazes—Jorge Luis Borges. Borges was 84, Chatwin 43 and still riding the success of the experimental travel book, In Patagonia, that he’d written while truanting from the Sunday Times. He and Borges had more than one thing in common. As Shakespeare noted in his Chatwin biography, “Many of the skills Borges acquired through cataloguing books for the Miguel Cané municipal library, Bruce picked up in Antiquities.” Those skills included an understanding of provenance and the ability to juggle masses of detail. The television program was prefaced by a Borgesian parable that resonated with Chatwin’s own life and searching. In the parable, a man embarks on a lifelong quest to discover the world. He collects a jumble of images, “of provinces, kingdoms, mountains, bays, ships, islands, fish, rooms, instruments, heavenly bodies, horses and people.” Finally, as his death approaches, he realizes that the collection of images has made a composite picture—of his own face. Chatwin would make a second trip to Australia, in 1984. The results of his work there appeared in 1987 as Songlines. The title recalled Strehlow’s Songs of Central Australia and was Chatwin’s word for the labyrinthine Arrernte Dreaming tracks. 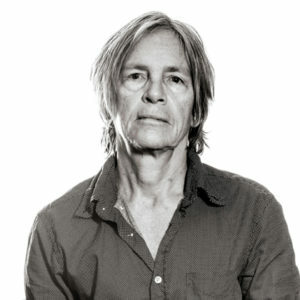 On one level, the book was simply a travel memoir, and that is how many readers and booksellers received it: another work in a tweedy genre whose authors were, according to the critic Rory Stewart, “celebrated for neither their prose nor their charm.” Chatwin, though, had greater ambitions for the book, regarding it as a quintessentially literary work that, like Madame Bovary, blurred the line between fiction and nonfiction, which, anyway, Chatwin argued, was an arbitrary boundary invented by publishers. When the Thomas Cook Travel Award short-listed the book, Chatwin asked that it be withdrawn from contention. When the book reached central Australia, though, the reception was quite different. Songlines ignited a blast of criticism from historians, ethnographers, and other observers, several of whom could claim direct cultural links to the traditions Chatwin had sought to picture. The basis for the criticism was clear: Chatwin had misunderstood and misstated the place of tjurunga tracks in the Arrernte’s past and present. In the Songlines version of the tracks, Chatwin had dimmed down and generalized the scope and place of the songs and their connection to land and tradition. His lines were too geographical, too explicable, too. . . linear. He’d failed to capture the ineluctable complexity, the genuine wonder, of the Arrernte library. Critics detected a naive imperial sensibility in Songlines. If Chatwin had helped put Aborigines on the international map, it was a map, according to Shakespeare, “superficially exquisite and tasteful like a Mont Blanc pen, and as unrelated to everyday life.” After calling the book a tremendous misuse of poetic license, Christopher Pearson quoted Stewart Harris: “If there is one person more damaging to the position of the Aboriginal Australian than the racist, it is the person who idealizes them and romanticizes them.” People who’d met Chatwin in central Australia noted the gulf between the real Bruce and the one in the book. (Among other things, he really was afraid of snakes.) Adopting the persona of a serious academic deploying rigorous methods was just one part of a rankling performance that bordered on deception. Chatwin was accused of failing to give the Aborigines their due voice. The Arrernte for their part were certain they did not need a white man to mediate their texts and render them intelligible. In many respects the book added insult to the injuries caused by Ted Strehlow, whose irreparable, unforgivable betrayal of the Arrernte had three main limbs: taking the sacred tjurungas, and with them a large part of Arrernte culture; passing them on to his second wife, in breach of every Arrernte taboo; and revealing, in the German magazine Stern, secrets he’d promised to keep. Taking away the tjurungas, and failing to guard their secrets, was as much a library crime as the institutional depredations of notorious book thieves such as Thomas Wise, Count Libri, and James Halliwell. The Strehlow-Chatwin account of the oral library of central Australia was a hub of concentric scandals. And yet, despite the blunders in how it was studied and represented, the library does possess the epic grandeur that attracted Strehlow and Chatwin to write about it. That grandeur embraces ancient songs of spectacular richness and diversity. Laws, too, such as the penalties for not killing and cooking a kangaroo correctly. And beautiful word-pictures, like the description of that moment in twilight when the tufts of grass can no longer be distinguished apart, and the moment at dawn, when the eastern sky is aflame with the fingers of the rising sun. The Arrernte narrative tradition is vastly richer than Chatwin had imagined. In the 20th century, Australia was the perfect place to study oral libraries, but Chatwin and Strehlow failed in their duty as curators. During his eight-year career at Sotheby’s in London and New York, Chatwin had risen to the positions of director, partner, and “expert.” But the monkish work of cataloguing took a toll on his eyesight and his state of mind. In February 1965, he left for a long recuperation in the Sudan—the first in a series of dramatic escapes. Though Chatwin returned to Sotheby’s and oversaw in Paris the dispersal of Helena Rubinstein’s collection of African and Oceanic sculptures, that would be his last major sale for the firm. Susannah Clapp, Chatwin’s first editor at Jonathan Cape, related the following story. Four years after Chatwin’s second and final trip to central Australia, Jonathan Hope (Somerset Maugham’s grandson) visited him at the Ritz Hotel in London. Chatwin was bedridden, suffering from the illness that would claim his life. He gave Hope a gift: a small, round, sharp object he’d found in the outback. “An Aboriginal sub-incision knife,” he said—an instrument designed to be used in an initiation rite in which the underside of the urethra is slit open. Holding the object up to the light, Chatwin said it was made from some sort of desert opal. “It’s a wonderful color,” he said. “Almost the color of chartreuse.” A few weeks later, James Mollison, Director of the National Gallery of Australia, arrived at Jonathan Hope’s house to examine Indonesian textiles. Mollison took the knife from the table, looked at it closely, then announced his verdict. It was amazing, he said, what the Aborigines could make from an old bottle shard. 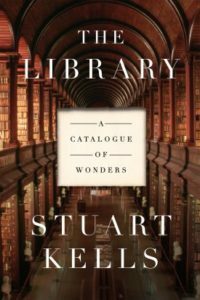 From The Library: A Catalogue of Wonders. Used with permission of Counterpoint press. Copyright © 2018 by Stuart Kells. Stuart Kells is an author and book-trade historian. His 2015 history of Penguin Books, Penguin and the Lane Brothers, won the prestigious Ashurst Business Literature Prize. His critically acclaimed biography of Kay Craddock—the first female president of the International League of Antiquarian Booksellers—Rare, was published in 2011. His most recent book is Shakespeare's Library: Unlocking the Greatest Mystery in Literature. An authority on rare books, Stuart has written and published on many aspects of print culture and the book world. He has a PhD from Monash University, and lives in Melbourne with his wife, Fiona, and daughters, Thea and Charlotte.